It's easy to dismiss the music of The Cloud Room as "Pop Rock" based on their first single, which received almost instant radio play on JAMS. DTM caught them on a mini-tour of key U.S. Cities (Hotel Utah here in the S.F.) 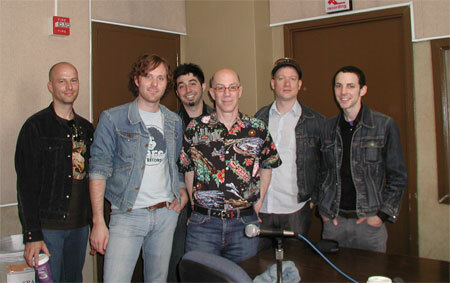 minutes after their full-length was released. He predicts their career will go as high as the clouds! DTM: Is this your first mini tour or have you done others outside of NYC? [Is] this like getting the Beatles the first time they left Germany? The Cloud Room: Yes, that is how we think of ourselves: The Beatles, but a little better.